The Kashmir valley comes alive during the spring season. The entire valley is rife with many hued flowers and the graceful Chenar trees lend a touch of elegance to the feel good ambience that prevails in the valley at this point of time. The apple and pear trees too are in full bloom. However, from this year springtime in Kashmir will have an altogether different dimension to it, courtesy the magnificent Tulip Garden, which is ideally located to the eastern bank of Srinagar’s world famous Dal Lake. 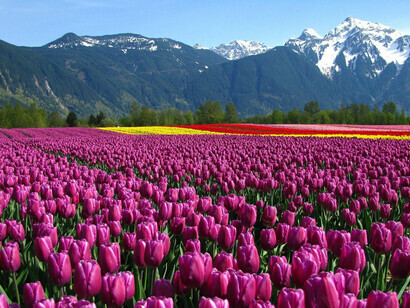 The captivating Zabarwan Mountain provides the picture perfect backdrop to this one-of-its-kind Tulip Garden. From times immemorial, Kashmir was famous for its magnificent flower gardens. The Dal Lake along with the Mughal Garden, Nishat Garden and the Chesma Shahi gardens has been attracting visitors for a long time. The Shalimar garden was originally built by Mughal Emperor Jehangir for his adorable wife, Noor Jehan. The Nishat garden dates back all the way to 1633 AD and was built by Noor Jehan’s brother- Asif Khan with the breathtaking backdrop of the impressive Zabarwan hills. The Cheshma Shahi on the other hand was the handiwork of Mughal Emperor Shah Jehan. 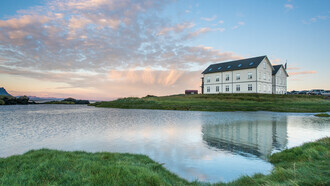 He built this beautifully landscaped garden way back in the year 1632 AD. The water of Chesma Shahi, it may be mentioned has curative properties. If you go further uphill from Cheshma Shahi you will come across the Pari Mahal. In the days of yore, it used to be a seat of astrology and was initiated by Emperor Shah Jehan’s eldest son - Prince Dara Shakoo. Today the area comprising the Cheshma Shahi and Pari Mahal has been turned into a tourist village and is worth a visit. From Chesma Shahi the Indira Gandhi Memorial Tulip Garden is just a stone’s throw away. Previously, the garden used to be referred to as the Shiraz Bagh, which was recently, re-christened as the Indira Gandhi Memorial Tulip Garden. A mind boggling 1.2 million varieties of Tulips have been planted at this garden, which is well spread out over an area encompassing 30 hectares. This unique Tulip garden was opened to public by the Chairman of UPA – Sonia Gandhi in a colorful ceremony a few years back. Already millions of tourists have visited this garden and the numbers keep on increasing with every passing day. There is a screen that conceals the view to the garden at the point of entrance. But once you cross that screen, a whole new world of many hued Tulips bedazzles you. For the first time visitors, the ethereal sight of row after row of colorful Tulips is absolutely incredible. 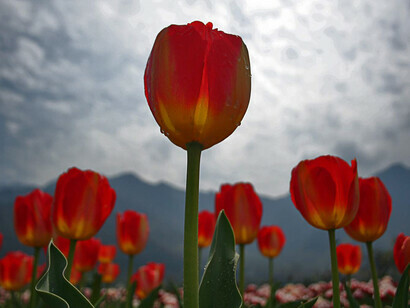 Given the aura surrounding the garden and the overwhelming support it has received, the Tulip Garden is yet another feather in the cap of Kashmir’s tourism industry. We mostly associate Tulips with countries like Netherlands and Canada, which is all right. But according to Smt. Sonia Gandhi the original home of Tulips is the Kashmir Valley. In her brief speech she emphasized thus – “It is important to remember that the Kashmir Valley is the natural place and original home of the Tulips. The Tulips grew here in the wild more than a thousand years before this flower was taken to the western world. And when tulips arrived in the Netherlands, they were considered so rare that its one bulb would sell for the price of a house,” she said. Tulips have always been dear to Bollywood Directors. A few decades back, the sight of Amitabh Bacchan and Rekha dancing to the hit song “Dekha ek Khwab” in the superhit film “Silsila” drew the imagination of the masses. Already, inquiries have been pouring in from Bollywood Directors who have evinced keen interest in the recently opened Indira Gandhi Memorial Tulip Garden. The fascination of the tourists for the Tulips is to be seen to be believed. The curators of the garden have intelligently planted beds of Hyacinths as well as oversized Pansies in between the rows of Tulips, primarily to break the homogenity of the Tulips. But surprisingly, nobody even looks at them. All eyes are on the Tulips and every visitor to this magnificent garden is hell bent on being photographed in the backdrop of the colorful Tulips. 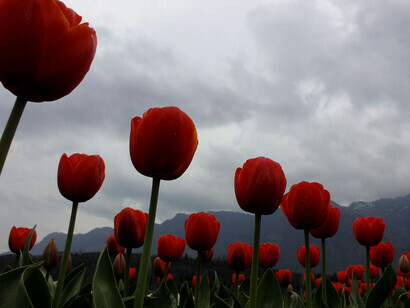 In Kashmir, Tulips have grown in abundance in the valleys from times immemorial. In the local parlance, they are referred to as “Gulal”. One popular variety is “Takee Butin” which has been fertilized with a wide variety of bulbs that has resulted in the generation of Hybrid Tulips. In all there are fifteen exclusive collections of Tulips in the world and here at the Indira Gandhi Memorial Tulip Garden, some eleven groups of Tulips with as many as sixty-six varieties are on display. The range from the Water Lillys that are a mere 10-25 Cms. to the Single Late Tulip, which is all of 80 Cms. in height. Significantly the black colored “Queen of the Night” Tulip, which is very rarely found, too has found its place at the Tulip Garden. According to the grapevine, this Queen of the Night variety of Tulip acted as a catalyst to Alexander Duma who wrote his famous book appropriately entitled – “The Black Tulip”. We were especially charmed by the sight of a flower bed wherein we could see the rare “Queen of the Night Tulips” innovatively blended with a cluster of starch white Mount Tacomas, which were all of 50-60 Cms. in height. First time visitors would do well to hire the services of a guide given the sheer enormity of the Tulip Garden as well as the diversity of Tulips that are on display. Our knowledgeable guide – Shahrukh Osmania, has lived all his life in the valley and knows the garden by the tip of his fingers. He took us to the southeastern part of the garden. At the backyard was the resplendent Dal Lake and the sight of the Nehru Botanical Gardens with its apple trees provided a perfect panoramic vista for us to indulge in. The Indira Gandhi Memorial Tulip Garden is conspicuous by its “Three-unit” landscape pattern, which is ideal for visitors. The unique topography of the garden with its flat surface area at the center is ideal for the growth of flowers. The gradient slopes of the garden on the other hand is congenial for the growth of fruit bearing trees, while the hilly undulating contours aid in the luxuriant growth of Himalayan Flora. For a better ringside view of the Tulip Garden as well as the shimmering Dal Lake, it would be wise to drive all the way to the Kral Sangari hill, which is ideally located in close proximity to the charming village of Brin. 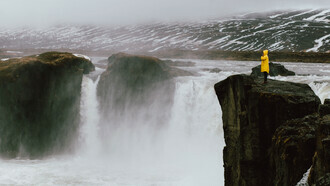 Try to locate a vantage point; there are plenty of them. The entire Tulip Garden when viewed from this hilly area seems like a well spread out colorful carpet. Time permitting; you may also embark on an enchanting boat ride on the Dal Lake. In my efforts to know more about the Tulips, my guide Shahrukh Osmania was of the opinion that a vast majority of the Tulips have been imported all the way from the Netherlands. In the days of yore, Tulips were also brought from Turkey by the then Dutch emissary. The British too played their part in popularizing Tulips in Kashmir and hilariously referred to them as – “Turbans” due to the fact that a Tulip in full bloom bore resemblance to a turban. As we walked past a bed of Kaufmania Tulips, my guide informed me that this variety had its origin at Turkmenistan. I was also informed that the garden was replete with many hybrid varieties of Tulips as well, all of which added to the fascination of visitors to the garden. In the days of yore, the present day Tulip Garden was referred to as the Shiraz Bagh and Tulips were introduced for the first time in the 60’s decade, by a visionary Horticulturist who was nicknamed – “Mamaji” who incidentally happened to be the maternal uncle of India’s late Prime Minister – Smt. Indira Gandhi. The architect of the garden’s revival and the simultaneous re-christening of the garden as Indira Gandhi Memorial Tulip Garden has been the former Chief Minister of Jammu & Kashmir – Shri Ghulam Nabi Azad. So passionate was he with regard to the total transformation of the garden that even the fourth grade staffs like the gardeners and the daily wage earners (Malis) were wary about Mr. Azad’s impromptu visits to the garden, least he notice them in their frivolous pursuits. Since the year 2009, the garden has become even more spectacular with the area of the garden being extended by another 20 acres and all of 2.6 million Tulips are on full bloom waiting to intice the tourists from the world over. Truly, good days are here again in the Kashmir Valley as it begins to shrug off its links with terrorism and return to normalcy. The Department of Horticulture is working at a frenetic pace to further improve the visitor amenities at the garden. Buoyed by the incredible response from both the general public as well as the tourists from India and abroad, there are a few bottlenecks that need to be sorted out. For instance, there is a severe crunch of seating space inside the garden. But, even with the kind of constraints that the Department of Horticulture is faced with, it is optimistic that in the next few years things will fall into place and a truly world class Tulip Garden will be in place to entice the tourists from the world over. The Horticulture Department has been closely studying the pros and cons of the famed Tulip Gardens of Netherlands, which is regarded as the “Home of Tulips”. At present the beds are rigid and have been arranged in a rather conservative manner. There have been suggestions from a few world-renowned horticulturists to arrange the flowerbeds in a more innovative and novel manner and with more density per bed. Personally, I am at a loss to understand the sheer enormity of the garden, which will be ten times more magnified in terms of the overall beauty of the garden as it endeavors to increase the density of Tulips. Even though the garden does have its share of problems, the fact that each day the garden attracts more than 4,000 visitors is in itself awesome to fathom. The Tulip Garden owes a lot to the spirit of dedication shown by the 400 odd daily wage laborers (Malis) who work round the clock to maintain the garden. They start working on the beds from the month of September and by October it is time to plant the Tulip bulbs. Their love affair with Tulips is such that many are in a position to correctly classify and recognize the variety as well. The Tulips it may be mentioned doesn’t last more than two months and to make the garden a year round tourist destination, the garden authorities along with the active co-operation of the Department of Horticulture are planning to cultivate all-season flowers in the garden so as to attract tourists all throughout the year. 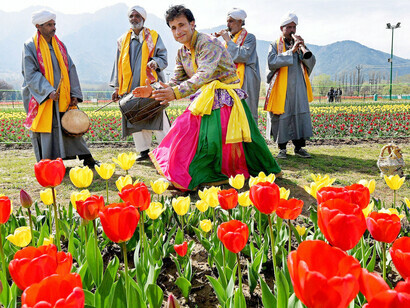 Tulips have always had a sentimental attachment with the people of Kashmir. In the bygone days, Tulips in full bloom could be seen in most houses even in the capital city of Srinagar. These Tulips grew mostly on the rooftops and in the springtime, the entire valley would be bedecked with a dazzling array of Tulips. Being a paradise for Tourism, many renowned Travel Writers owing allegiance to publications like Tatler’s Travel Guide, Conde Nast Traveler, Lonely Planet, Fodors etc… have gone back home with beautiful pictures of Tulips from Kashmir valley. 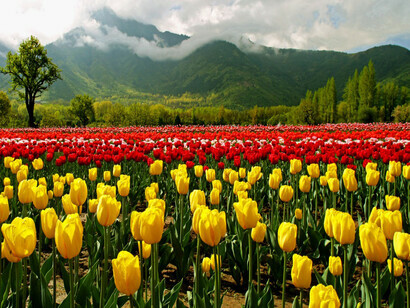 During the pre-terrorism days when the valley was a Mecca for tourists, there are instances of visitors who had fallen in love with the Kashmiri Tulips and they made it a point to visit Kashmir every year in the spring season to have a date with the magnificent Tulips. Leave alone the tourists, ever since its inception, the Tulip Garden has found a passionate admirer in no less a person of the stature of Sonia Gandhi, who was evocative in her praise to this one-of-its-kind garden in India. She fondly recalled late Prime Minister - Indira Gandhi’s love affair with Kashmir and the fact that Kashmir’s breathtaking natural panorama, especially its snow-capped mountains, brooks and meadows had always inspired her. For the entire Gandhi family, Kashmir used to be their most preferred holiday destination. Had it not been for terrorism, which has literally eaten into the vitals of the state’s economy, more specifically the tourism industry, Kashmir today would have carved a niche for itself as one of the world’s top-end mountain tourist destination. According to Sonia Gandhi, Kashmir would have been at par with places like Switzerland in terms of natural beauty and tourist attractions. The coming of age of the Tulip garden has come as a blessing in disguise for the state’s fledgling tourism industry. The whole world knows that the peak tourist season in Kashmir commences from the month of May. For a long time, prospective tourists had this notion that there was noting much in store for them during the months of March and April. Thank god! The Tulip garden has changed that pre-conceived notion. There have been instructions from the Chief Minister’s office that the Tulip Garden be widely publicized in all the tourist brochures of Jammu & Kashmir. Although the garden has been welcomed by one and all, there have been a few controversies as well, particularly with regard to the re-christening of the garden from Shiraz Bagh to the Indira Gandhi Memorial Tulip Garden. Many Kashmiris are peeved by the fact that the garden project has been politicized by the re-christening of the garden. But come what may, the Department of Horticulture, Government of Jammu & Kashmir is willing to walk that extra mile to position the Tulip garden in the forefront, among the world’s most beautiful gardens. 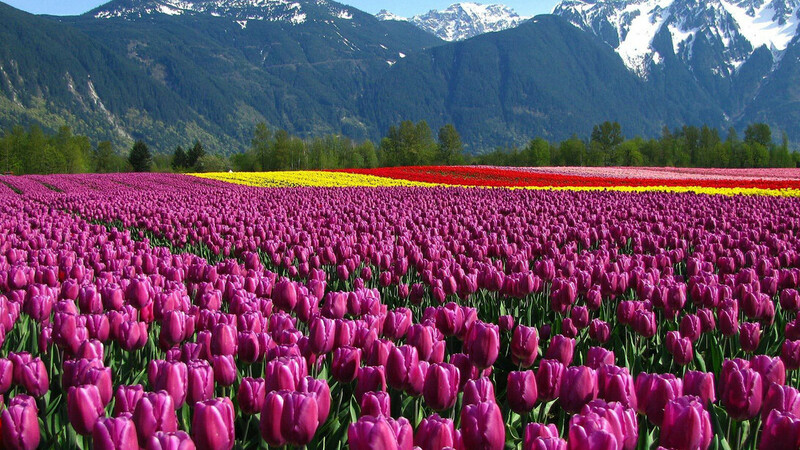 The Department of Horticulture, in order to promote tourism to Kashmir, will be organizing an annual Tulip Festival every year. Check out with the Department of Tourism, Government of Jammu & Kashmir for the exact dates of the festival. Already about 12 Lakh Tulip bulbs have been made ready and more varieties are being imported from Holland. In a significant move, the Department of Tourism has innovatively packaged the Tulip Garden as an add-on to winter sports like skiing and golfing. Special bus services to the Tulip Garden along with overall improvement in the tourist infrastructure has already been planned. 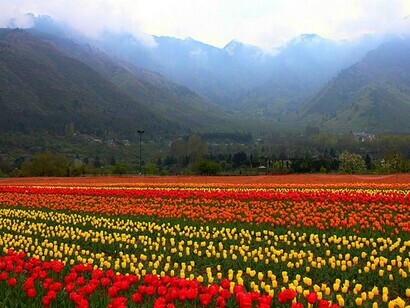 Let us hope the Tulips boost the fledgling tourism industry of Jammu & Kashmir as it rises from the ashes of terrorism. Indian Airlines and Jet Airways operate regular daily flights to Srinagar from Delhi. Indian Airlines also operates flights to Srinagar from Mumbai and Jammu. 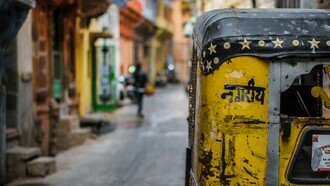 Flights are from Delhi via Jammu, and from Bombay via New Delhi and Jammu. Jet Airways on the other hand operates daily flights to Srinagar from Delhi as well as Jammu. Srinagar airport is located at a distance of 14 Kms from the city center. Taxis are readily available on hire. Jammu & Kashmir State Road Transport Corporation (J&KSRTC) runs coaches from the airport to the city and vice versa. The nearest rail station for Srinagar is Jammu Tawi, which is located at distance of 305 Kms. regular train services connect Srinagar with cities like Delhi, Mumbai, Calcutta, Pune, Kanyakumari, Ahmedabad etc. As with flights, train bookings have to be made well in advance. During the holiday season, additional trains operate to and from various parts of the country. There is no dearth of quality accommodation at Srinagar. 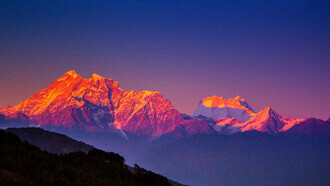 From deluxe hotels to budget category Inns, Srinagar has hotels to suit every budget. A vast majority of the tourists prefer staying on a houseboat, which provides them with a once-in-a-lifetime experience of living on the waters of the shimmering Dal Lake. The lure of staying in an impeccably designed cedar-paneled bedroom is irresistible. They may not belong to any 5 star category hotels, but offers all the luxuries that any deluxe hotel would provide. In Srinagar there are thousand of houseboats that are anchored along the stretches of the Dal Lake, the Nagin Lakes as well as the river Jhelum. These houseboats have been appropriately graded by the Department of Tourism. A typical houseboat will provide a veranda in front, a lounge, an exclusive dining room, storeroom and three or more bedrooms with attached bathrooms. 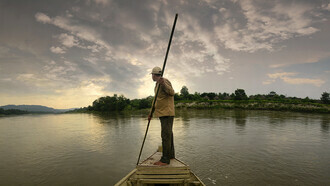 Those houseboats that are not anchored to the banks will provide a complimentary boat ride to the nearest jetty. Permits: Indian citizens do not need any permit to enter Srinagar. However, permits are mandatory for all foreigners and they need to register themselves at the (FRRO) Foreigners Regional Registration Office, a counter of which is located at the Srinagar Airport. 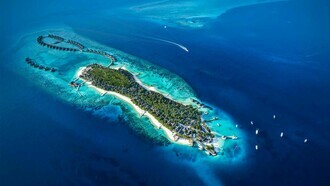 A Travel Writer from Kalyani. Associated with numerous Travel publications, including In-Flight magazines. He received invitations as a Guest Travel Writer from the various Indian states and was a Tourism Consultant for the UNWTO.